Copper is one metal that acid water can dissolve into your Joplin area water system. While copper pipes are used in household plumbing, and it is in fact necessary for your diet, it can be poisonous. The body has a natural way of regulating copper. However, children under one year old do not have this mechanism yet. Those with Wilson’s Disease also have difficulty maintaining proper copper levels. People with Wilson’s Disease can not regulate copper properly, and it can build up in their liver, brain and other organs. The condition is treatable if diagnosed early. If you have an infant or someone in your household has Wilson’s Disease, make sure you know what the composition of your indoor plumbing is. Schedule a free in-home water test at Culligan of Joplin today to see if your water could have elevated levels of copper. Copper concentrations in drinking water vary widely as a result of variations in water characteristics, such as pH, hardness and copper availability in the distribution system. The issue of high concentrations of copper in water comes primarily from corrosion of interior copper plumbing. Coating tends to build up over time in copper pipes and form a protective barrier from the water and copper, however, new homes with new pipes may be susceptible to this issue, as this coating has not built up yet in the new piping. The best indicator of whether you may have corrosion in your copper pipes is if the pH level in your water is acidic (less than 7). There are a number of solutions for acidic water, including a Culligan whole home water filter. If you are concerned enough to replace your copper pipes altogether, the best alternative is likely PEX (crosslinked polyethylene). Along with cost and flexibility advantages, it provides resistance to scale and chlorine. Other options vary – check your building code and do your research before making a decision on whether to switch from copper piping, and determine what is best for you. The EPA has set an “actionable” level of 1,300 parts per million for copper in water systems, but that level may be too high for those with the aforementioned preconditions. 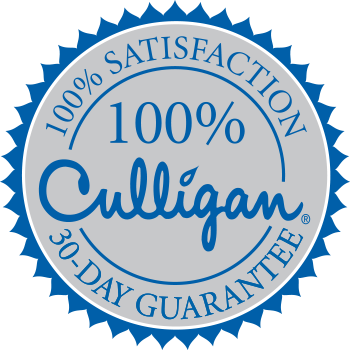 Get your water tested today by your local Culligan man for more information if you have copper pipes.